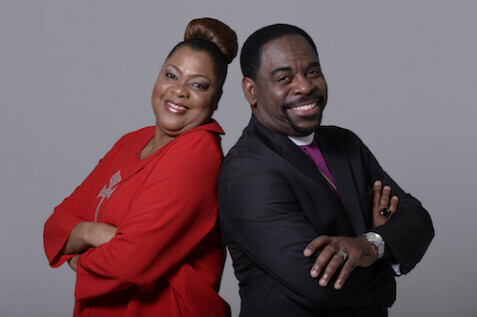 In January 1994, Pastors Henry & Patricia Phillips founded Power of Change Christian Church (POC); a non-denominational, multi-culture ministry centered on high standards of excellence and integrity. POC opened the doors to its first facility located in Cahokia, Illinois in November 1995. With Biblical-based teachings designed to meet the needs of the total person, the congregation grew at an astounding rate and a second Sunday morning service was added to accommodate the 800+ membership. With impactful sermons and courses, many across the Saint Louis and Cahokia regions flocked to hear Pastors Henry & Patricia Phillips speak. Due to the overwhelming demands, the church had to move to several locations to accommodate the masses. A larger and permanent facility was needed and thus began the journey of acquiring a new facility in the Cahokia area. While construction began on the new facility, POC continued to thrive and became a pillar in the community. In May 2006, Pastors Henry & Patricia Phillips expanded the ministry to a second location in the Centralia, Illinois. In celebration of this expansion, the ministry became known as: “One Church in Two Locations”. 2006 proved to be a year of double blessings, when in November, POC Cahokia opened a newly constructed state-of-the-art church campus on 33 1/2 acres of land. The new facility housed seating for 1200 and included various spaces for a children’s play area, classrooms, offices, a café and much more. Prosperity and growth continued and as a result, POC Centralia relocated to Mount Vernon, Illinois in March 2009. This spiritual and natural move provided a facility that included three buildings with multiple classrooms, a childcare facility, a business office, a fellowship hall and a sanctuary to house 400+ members. Many from the region and beyond are drawn to the celebration of love and relationship that is witnessed at Power of Change. With four churches located in Ghana, Africa, Power of Change’s reputation and influences reaches the masses internationally. With its unique and diverse services and events, this ministry cultivates God's vision for all to experience God’s love and fulfillment of their God –given purpose.